Seared Furikake Salmon Salad is just what you need to satisfy that craving for a fresh and delicious meal. 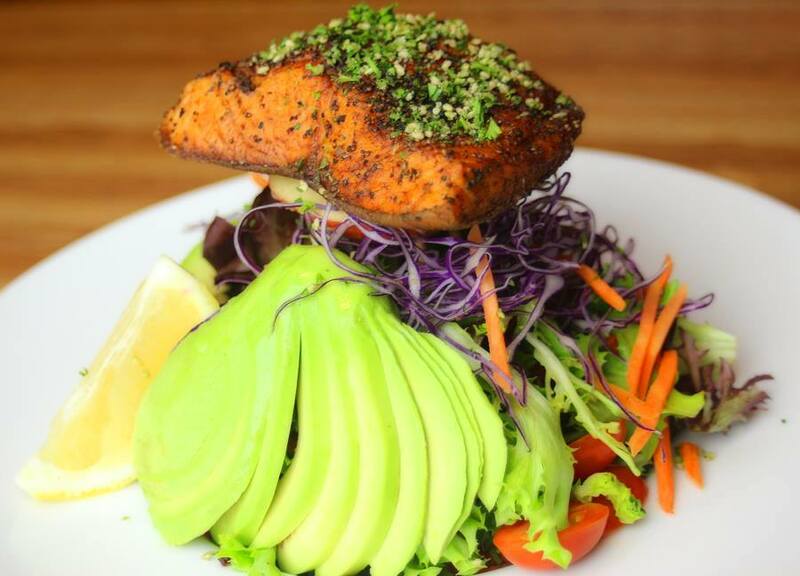 Bursting with delightful greens and tasty vegetables, this salad is topped with a perfectly blackened salmon filet. A dash of avocado cilantro dressing brings all the ingredients together for a cool and creamy finish.